We almost laughed when several months ago the Mozilla Foundation decided to go beyond its famous web browser and try to move ahead with its own operating system for smartphones. The World Mobile Congress 2013 just wrapped up, which took place in Barcelona, and one of the most popular headlines deals directly with Firefox OS: Telefónica, and other important telecommunications companies from throughout the world, have decided to support Mozilla’s operating system. And, many manufacturers the likes of Sony, Alcatel, and Huawei are going to develop devices that use it. It doesn’t seem so much like David against Goliath anymore. The current situation in the telecommunications market is dominated by two names only: Apple and Android. These brands share the market with their own operating systems, resulting in complete dominance in the mid-end and high-end smartphone market. There have been many attempts at breaking this dichotomy, but never before has there been such a favorable situation given the collaborative agreements that are being made: América Móvil, SimTel, and Deutsche Telecom are some of the 18 companies that have confirmed their support for the Firefox OS. 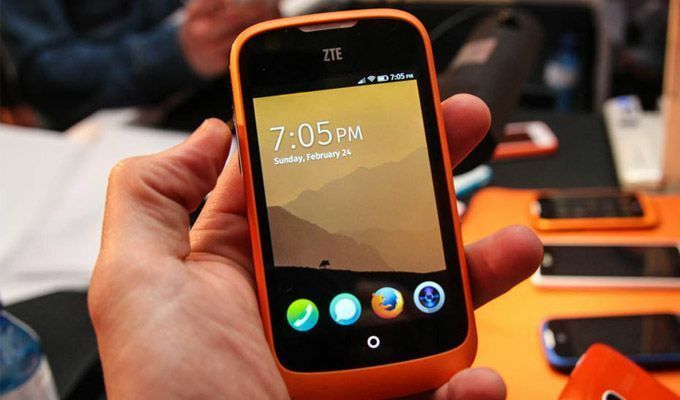 Telefónica has openly confirmed its intention to fight for being able to run Firefox OS. In fact they have already announced that this summer the first device running Firefox OS will go on the market in Spain, backed by Movistar, called the ZTE Open, which is meant to be an affordable smartphone (around €80). It’s core idea isn’t to wow with its features, but to be an attractive alternative for first-time users. In fact, the intention of Mozilla and its partners is to introduce itself in emerging markets internationally, such as Brazil, Mexico, and Hungary, among other areas that still haven’t experienced the monopoly effect of the two major companies. ZTE is one of the manufacturers that will work with Firefox OS devices, but at the hardware level there are also many that will back the operating system: LG, Alcatel, Huawei, and even Sony itself will produce devices that will run the OS. The latter has recentcently been confirmed by the mobile carrier Telefónica, saying that it will introduce Firefox OS in future products from its Xperia line. And if all this wasn’t enough, this very week Mozilla released its own app store for the first time, called Firefox Marketplace, where you can download all kinds of software compatible with its operating system. However, unlike GooglePlay and the AppStore, it is programmed in HTML 5, so you won’t have to access an independent app, but rather visit the service via the browser itself. In regards to apps, there are also many from big names such as Twitter and Facebook, which will launch their own specific version, as well as other developers such as EA Games and Disney Mobile Games. Although it’s still a few months away when we’ll start seeing new devices on the market, Mozilla’s official website explains how to install Firefox OS on certain devices, and even how to emulate it on your PC. Are we seeing the first steps towards a new competitor in the mobile software industry? Only time, and how long these agreements last, will tell. Next articleWhat should you do if your email or social network account gets hacked?